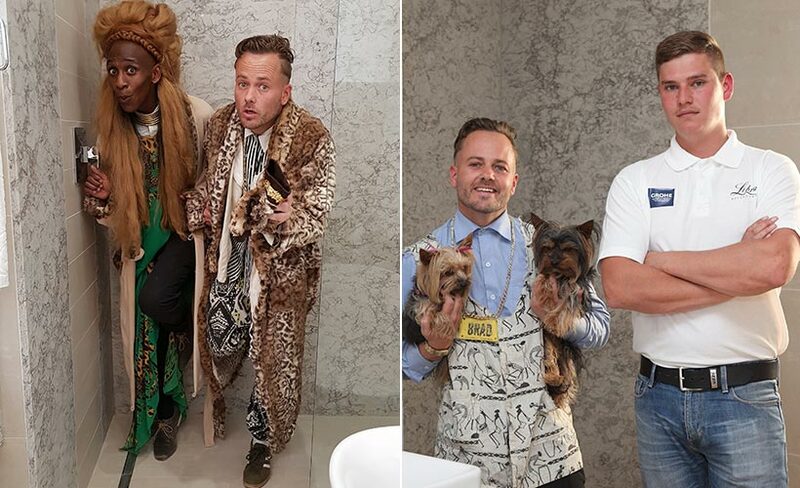 The next challenge for the design duos really is double the drama: They have to design and decorate both bathroom in their respective houses. Will they be able to make a splash or will the pressure and time constraints send their luxury bathroom dreams down the drain? 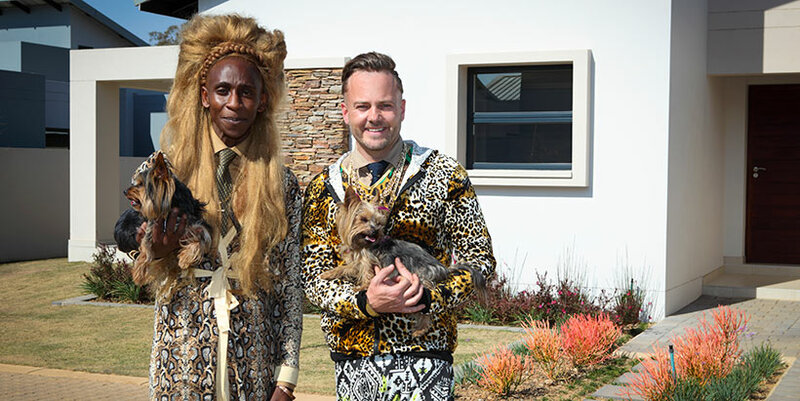 For their next brief, the contestants meet Danilo at Plascon Spaces where he drops a bombshell: They have to design not just one, but both bathrooms. Having to do double their usual amount of work in the same time span immediately puts the pressure on the design duos but they want to face this challenge head on. To better inform their choices for the bathrooms, all the design duos visit the Grohe showroom. Here, they learn about the importance of choosing the right bathroom hardware to compliment the overall style of the space as well as the basins, bath and shower. Considering the water scarcity in South Africa, they also look at Grohe products which are designed to use less water and be more eco-friendly. Of course, it doesn't take long for Team Habitat to find the most extravagant shower and soon they're doing their own rendition of singing in the rain-shower. The design duos also visit Geberit where they see the technology in concealed plumbing first-hand. Geberit also has water-saving technology, their toilets are rimless and able to hold up to 400kgs. Having seen some great designs, Team VISI easily choose products that they feel work wonderfully in their bathrooms. Team House and Leisure meet their mentor, Tiaan, on a tile shopping expedition. They confidently put forward a design of neutral colours that aims to be modern yet warm and comfortable. The creative collaboration for their master bathroom will be a series of lights that look like floating bubbles. At their mentor meeting, Team Habitat express their frustration at not yet having a win. Amanda agrees with Brad and Abiah that it's time to re-strategise and they should consider a more minimalist approach in their bathroom designs. Team VISI meets with Annemarie and share that they took initial design inspiration from a marble tile. 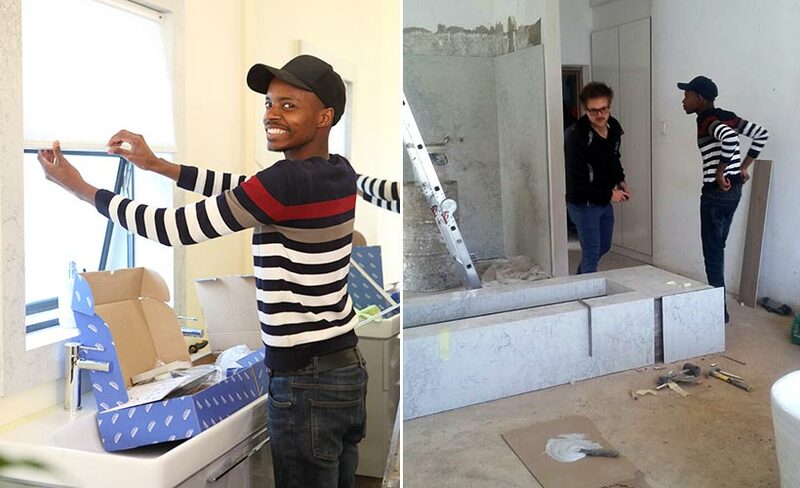 Their bathrooms will feature French style contrast with black, white, grey as well as a soft shade of Plascon paint. They will accessorise in a highlight colour of blush pink. For a bold design element, Team House and Leisure had a planter box custom built and clad in Caesarstone, which will separate the bedroom from the en-suite. Team Habitat also make a bold move by removing part of the wall between the bedroom and en-suite. They also aim to create impact with a bathroom that they call their "monument to Caesarstone!" At the halfway mark, there's a flurry of work at all three houses and Team Habitat has even resorted to pitching in to make sure they get done on time. Team VISI and Team House and Leisure realise how expensive bathrooms can be when they find themselves short of the necessary tiles and try desperately to not flush their budgets away. With the pressure mounting, can Team and House Leisure maintain their winning streak in the bathroom challenge or is time for Team VISI or Team Habitat to be showered in glory?